Origin and Habitat: Garden origin. 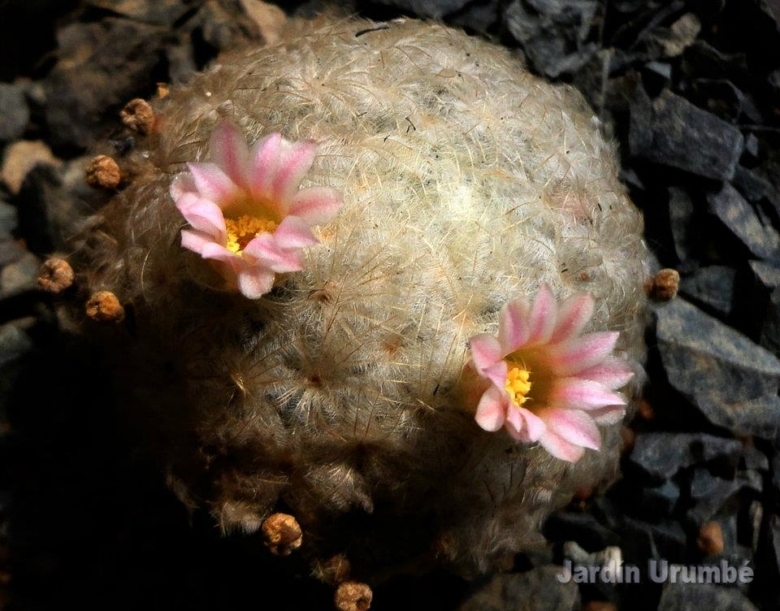 The natural species comes from the states of Coahuila and Nuevo León in Mexico. 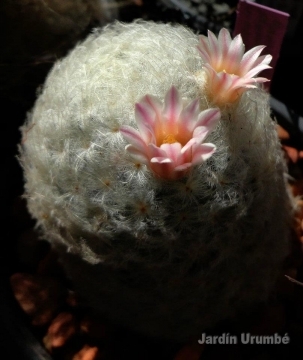 Description: Mammillaria plumosa var. roseiflora is a selected form or cultivars with pink flowers instead of yellowish white. All the other characteristics namely stems size and form, spines, fruits etc. are identical to the standard species. 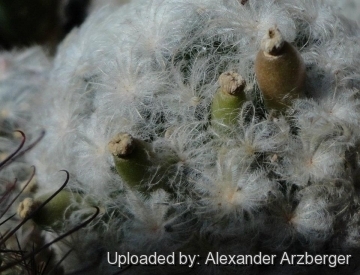 Habit: It is a clumping plants that forms low, dense mounds sometime up to 40 cm wide entirely covered by the mass of white feathery spines. Flowers: Up to 3-15 mm long sweetly scented. Perianth segment white or pale pink with a purplish-pink line running down to the centre.